With the DWL-G630, you will be able to wirelessly connect a laptop to any Wi-Fi™ network, at home, at work or in any wi-fi enabled public place (hotspot). This will allow you to stay on-line and access files and resources securely, for a mimimum of investment. 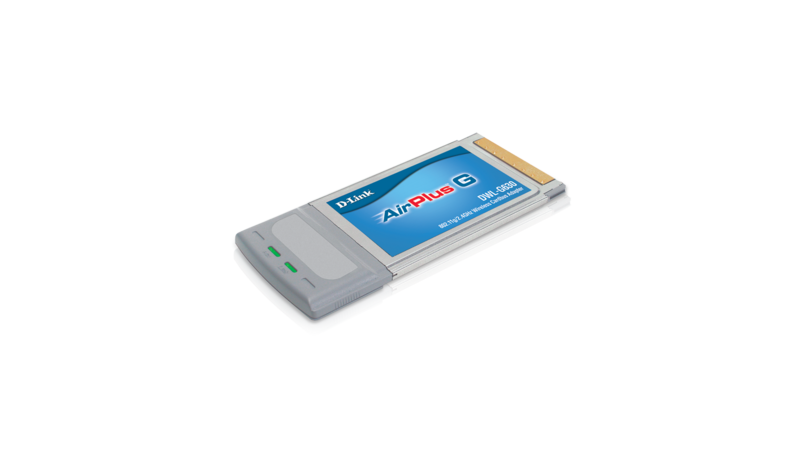 The D-Link AirPlus G DWL-G630 CardBus Adapter is a wireless network adapter for laptops that provides high network speeds of up to 54Mbps when used with other 802.11g wireless products, delivering throughput speeds capable of handling heavy data payloads. It features enhanced security to shield and protect your wireless connection from intruders. The DWL-G630 adapter provides speeds of up to 54Mbps when used with other 802.11g equipment. This enhanced speed, mobility and convenience inherent in a wireless LAN, make this adapter an ideal solution for bandwidth intensive wireless applications for your laptop. The DWL-G630 adapter is backward compatible with 802.11b standard wireless devices, providing seamless interoperability with the earlier standard equipment. By maintaining compatibility, this adapter lets you upgrade to a higher speed while protecting your past investments. The DWL-G630 adapter features WPA (Wi-Fi™ Protected Access) and 802.1x for wireless user authentication, providing you with a high level of security for your data and communication. It also includes a configuration utility to allow your computer to find available wireless networks and create and save detailed connectivity profiles for the networks most often accessed. With hot swap and Plug & Play capabilities, this adapter can be easily installed into your laptop for direct connection to any wireless network computer (ad-hoc mode) or through an access point or router (infrastructure mode). When used with other D-Link AirPlus G products, the adapter automatically connects to the network.